Shop ’til you drop in 3 weeks! Who’s ready to shop ’til you drop? Jack and Jules is in just 3 1/2 weeks!! With over 500 consignors, Jack and Jules has everything your child needs to get ready for Fall/Winter and Back to school time! Clothes, Shoes and toys galore… Swings, Excersausers, Pack and Plays, and High Chairs too!! Don’t forget back packs, diaper bags, bottles, bibs, burp clothes and so much more! Jack and Jules has EVERYTHING you need for a fraction of the cost! On top of all the great items from our consignors, stop by and visit Melissa’s Bows ‘n Things, Thirty-One, Jamie Weiss Photography, It Works!, Scentsy, Sweet Designs Boutique, Mead Johnson(Enfamil representative) and Designs by Melissa Young!! Be one of the first 250 shoppers on Thursday July 25th and you will receive a FREE goody bag full of coupons and treats from several awesome vendors!! Mark your calendar, make a list, bring a bag and get ready to shop ’til you drop!! Want to win a VIP shopping pass? 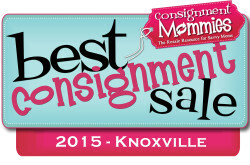 Comment below and tell us your best consignment shopping tip and you could win a VIP pass! Come with a list of sizes of clothes and shoes for each of your children! Get there early. do not forget bags to carry all your goodies. and if possible leave the kids with grandparents or a sitter. I like to check out where everything is then head to the most important areas for me first so I will have the best selection! Just grab at the time You’re shopping and pick a spot out of the way and sort what ypu have when you’re done!! Bring a list of what your child needs as far as tops, jeans, tennis shoes, etc. along with sizes. It’s easy to forget what you really came for once you get in and start seeing all the good deals! Bring totes to shop and make a list if things you will need to bring with you Go to big items first since they get gone quickly. Bring you a bottled water or snack incase lines are long. Find the holding area so you don’t have to pack around your big stuff. Don’t forget to bring a reusable shopping bag or basket! If you think you might want it, grab it, because if you go back to find it later, it will probably be gone. If you decide you didn’t need it after all, you can always put it back! I like to watch what people but back. I always fine good stuff that way!!! The 31 bags are really good to use too. Have a list of items you need/want and then plan which area you want to start in to fulfill your list and don’t forget your bags!! Bring a helper so you can tag team! Always make a list of the most important items you want. Never second guess an item because it may not be there when you decide you want it. Always wear comfortable shoes. Last but not least bring a friend to divide and conquer! Ask a dear friend to go with you so you can grab more stuff and have more eyes to find great deals! Take your time! Not all the good stuff gets gone in the first hours. I wait until day 2 and dig dig dig! ALWAYS work shifts to shop early. People complain about consignment sales due to high prices, lines etc. It is simple, be the first in the door to score! Always double check all zippers and snaps. Usually at least one item I purchase has a tiny defect that is overlooked by the people at dropoff. Nothing worse than getting home with an expensive North Face jacket only to find the zipper piece is missing! My best consignment tip… Work a shift and shop the pre-sale! It’s only 4 hours and it lets you have first pick of all the stuff and avoid the crowds!! Work a shift so you can shop early. Bring a basket or large bag to tote your clothes you are buying. Write down your child’s measurements and bring a measuring tape for those questionable sizes. Know you will be there a couple of hours! Leave the kiddos at home and bring something to haul all of your finds home in!!!! I always bring my Wonder Wheeler. It’s basically a super tall laundry basket on wheels. It’s narrow to squeeze through the crowded isles and tall so it holds a lot! It’s a must for me for any consignment sale! Bring your patience and your smile. 🙂 It should be a fun day of finding great items! And, the workers and volunteers really appreciate a “Thank you” during those busy first few hours! Be nice and friendly with your fellow shoppers and those working!! Strike up a conversation with those next to you in line or the person next to you browsing the clothes. Don’t be shy to tell the pregnant couple looking at baby gear your experience with a certain item- they’ll appreciate it! Have a positive attitude with a smile and know there is lots for everyone, Wear comfortable shoes, be prepared with a list of what your looking for, bring a bottle of water, and lots of money to spend as you never know what you will find, and remember to Thank the ladies who checked you out. Eat a big meal and come prepared to stay. Remember to treat others the way you would like to be treated and you will have a wonderful experience. Don’t bring your purse. It will just add to the weight of all you have to keep up with. Put your debit/credit card and driver’s license in a pocket of your tote. Plan,plan,plan!!! First of all I go through my child’s closet and make a list of what size, color and items my child needs for fall and winter. Think of what toys you want for Christmas and go for them first! !Bring someone with you and split up. Use your cell phone to keep in contact with them.